Here at DuPage Swimming Center, we know firsthand how the summer season provides unique opportunities for families to spend time together, making it the perfect time of year to sit with the kids and create a summer must-do checklist. By allowing everyone to brainstorm fun ways to spend the warm summer months, you not only can make sure nothing exciting falls through the cracks, but you can also create a list of inventive events and activities that you may not think of otherwise. What’s the first item to put on any summer bucket list? Professional Aurora swim lessons at DuPage Swimming Center. It’s no secret that the warm summer months offer extensive ways to enjoy water activities. Swimming, boating, water sports — there are countless ways to enjoy pools, lakes and beaches this summer. However, with water fun comes responsibility; taking Aurora swim lessons at DuPage Swimming Center ensures that all of your water activities are not only exciting…but also as safe as possible. As a leading resource for Aurora swim lessons, DuPage Swimming Center proudly offers highly-skilled and trained instructors at all of our pool classes. We cater to every age and every skill level. Whether you (or your children) are just getting into a pool for the first time, or you’re looking to sharpen your existing capabilities, DuPage can help you quickly improve your skills and remain confident and safe in any water situation. Best of all, DuPage offers an indoor pool facility. This means, no matter what type of summer weather we encounter, we can always provide a safe environment that fosters a truly positive and enjoyable experience for everyone in your family. Of course, Aurora swim lessons are just one fun way to spend time this summer. There are countless other exciting activities to include on your summer must-do checklist this year. Get outside with the family and get active in the sun; visit a local park to play ball, hopscotch, jump rope or even play tag and hide and seek together. Once you’ve itemized ways to keep your body active, it’s time to get your mind moving. What’s a great way to ensure your little ones don’t lose everything they learned all year during those short summer months? Plan family reading sessions outside. Reading to themselves (and out loud to others) outside on a sunny day is a perfect way to keep their skills sharp. Additionally, buy everyone in the crew a special journal to commemorate your many summer activities. You’ll love reading about how much fun you had working through your summer bucket list together for years to come. While summer days are fun, summer nights also offer their own unique range of exciting seasonal activities. Plan campfires and a s’mores-making contest, sleep in a backyard tent or even practice numbers by counting fireflies. No matter what events you plan, you and your family will love checking every item off your checklist while building lifelong summer memories. 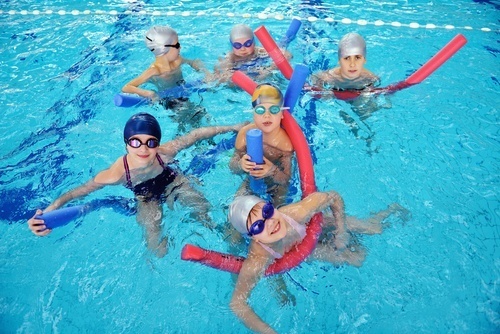 If you’re ready to include DuPage’s Aurora swim lessons on your list of summer activities, visit our site to register now at: https://www.dupageswimmingcenter.com/.